What’s with procrastinating business owners? 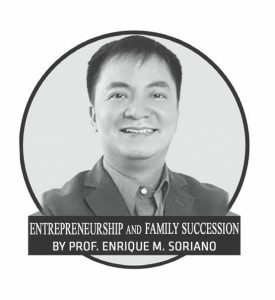 In a recent survey made by ICON Executive Search covering emerging economies in Southeast Asia, a whopping 84 percent of founders and Gen 2 leaders have put off succession planning – to the detriment of family, employees, and the business itself. Perhaps they do not realize that the two most significant risks to the future of any business is one that is often ignored: Ownership and Succession Risks. Ignoring ownership issues aggravated by leadership changes and together you have the perfect storm to take out the family business! For every owner that wants to pass the business to the next generation, succession planning should be your top priority. When you own a family business, retirement isn’t just a matter of deciding not to report for work anymore. Beyond wealth preservation, the whole question of what will happen to the business becomes paramount long after you are gone. Nagging questions like who’s going to manage the business? How will ownership be transferred? Will there still be family harmony after I retire? How will the business fund my retirement? What will happen to my grandchildren? A transition plan must be developed between the business leader and the next generation successors. The process should specify in unequivocal terms the transition date, performance expectations with well-defined Key Performance Indicators (KPI’s). It is also important to clarify the level of involvement of the retiring leader. To provide exit mechanisms for the successor, an employment contract indicating the terms of the engagement must be highlighted. When there is a shared vision and values as well as clarity in the roles of active and non-active family members, there exists their willingness to discuss transition issues openly. This means that they can now appreciate and enjoy each other and move forward together.